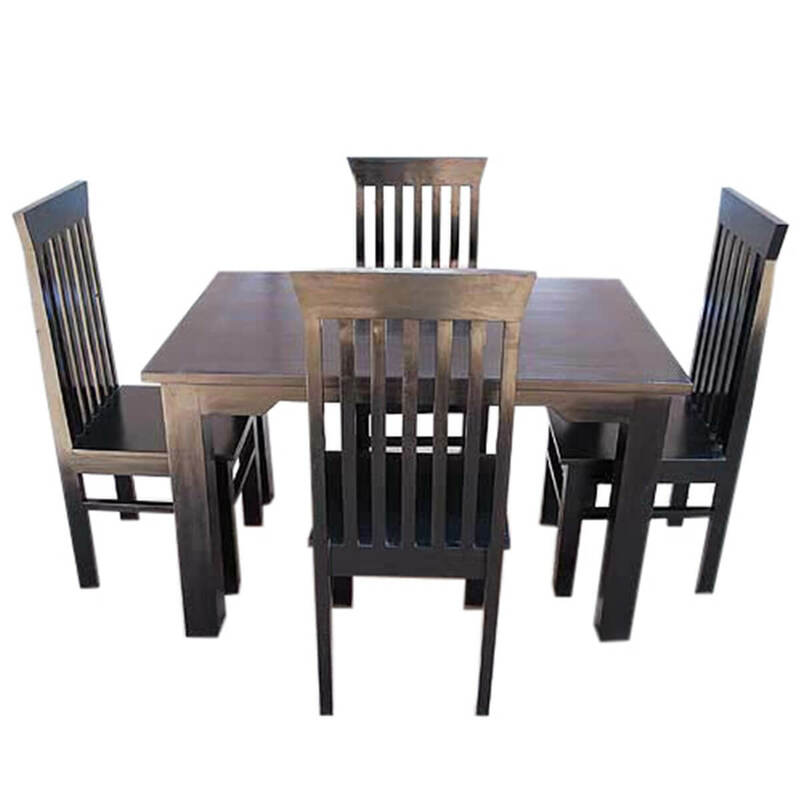 Brand New Mission-Style Black finish five Piece Dining Room Set. 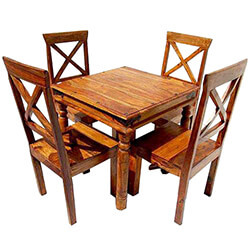 The set includes a Wonderful Hand Crafted Mission style rectangular Dining Table with room to seat six adults comfortably and six matching chairs with the same hand carved pattern. 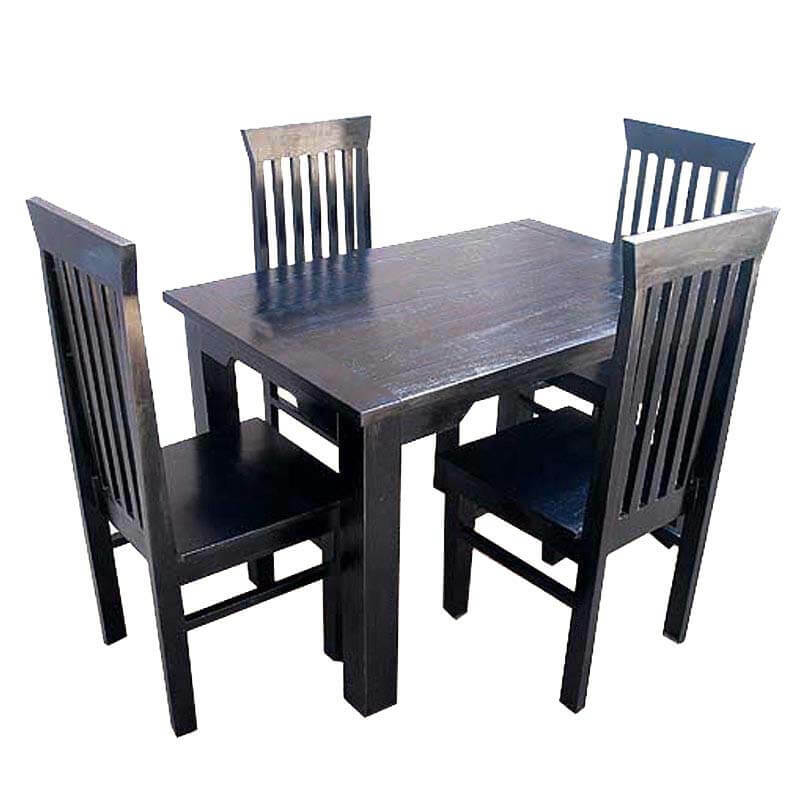 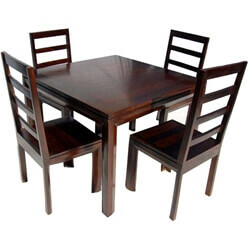 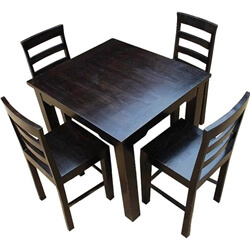 • This great Dining Table Set has a wood slat design tabletop and chair seats. 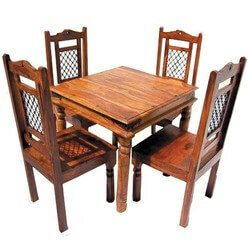 • Hand carving on the sides of the table. 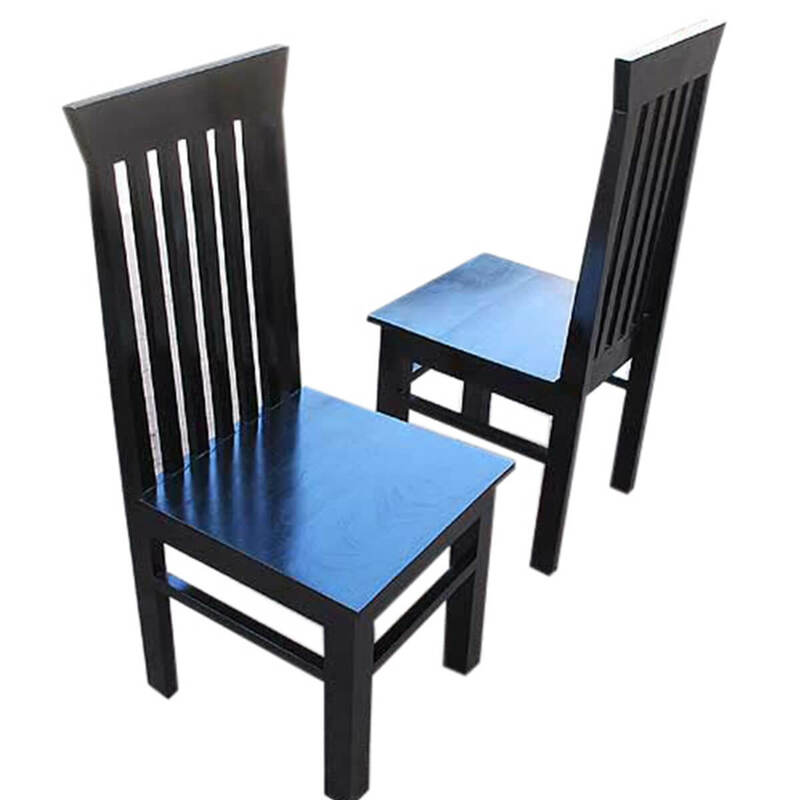 • Solid square legs and high back chairs. 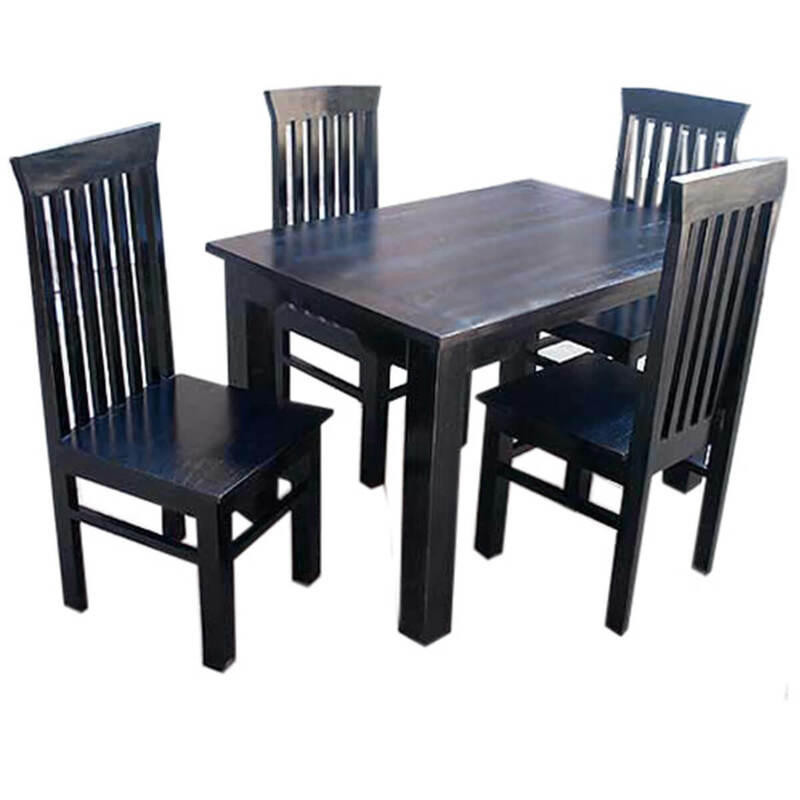 • This set is designed for beauty, simple elegance, and comfort. 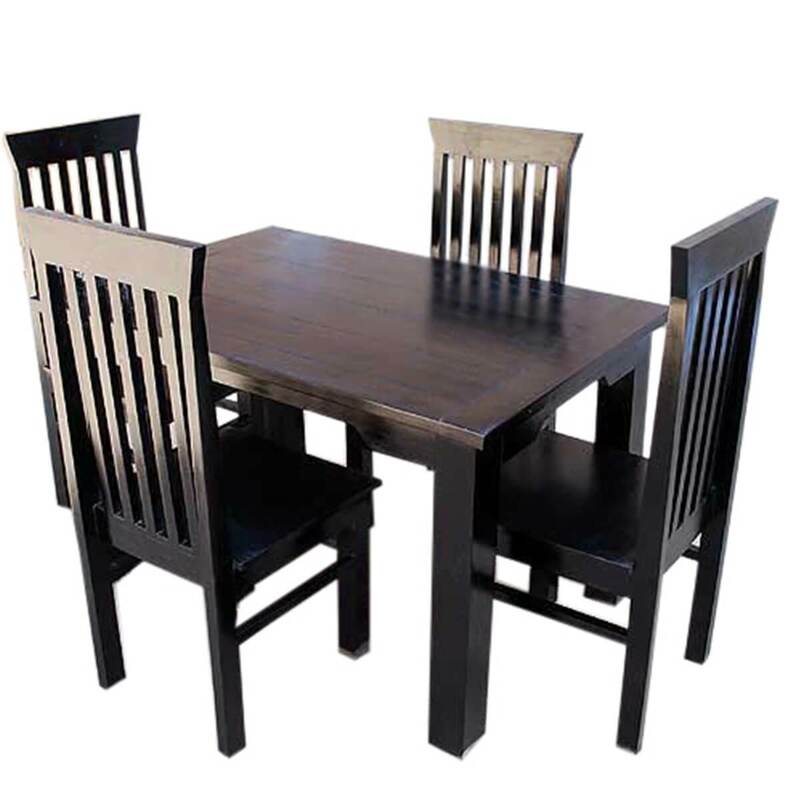 Entirely handmade from Solid Wood that has been properly treated and seasoned followed by a lengthy hand waxing process for a stunning long lasting finish.